QU M, AHPONEN PL, TAHVANAINEN L, GRITTEN D, MOLA-YUDEGO B, PELKONEN P. 2012. Practices and perceptions on the development of forest bioenergy in China from participants in national forestry training courses. Biomass and Bioenergy 40:53–62. GRITTEN D, MOLA-YUDEGO B, DELGADO-MATAS C. 2012. Media coverage of forest conﬂicts: A reﬂection of the conﬂicts’ intensity and impact? Scandinavian Journal of Forest Research. 27(2):143-153. MOLA-YUDEGO B, GRITTEN D, DELGADO-MATAS C. 2012. Quantitative investigation of forest conﬂicts using different data collection methods. Scandinavian Journal of Forest Research 27(2): 130-142. QU M, AHPONEN PL, TAHVANAINEN L, GRITTEN D, MOLA-YUDEGO B, PELKONEN P. 2011. 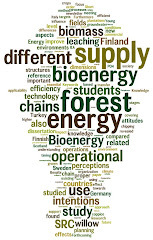 Chinese university students’ knowledge and attitudes regarding forest bio-energy. Renewable and Sustainable Energy Reviews 15(8): 3649–3657. MOLA-YUDEGO B, GRITTEN D. 2010. Determining forest conflict hotspots according to academic and environmental groups. Forest Policy and Economics 12(8):575–580. GRITTEN D, KANT P. 2007. Assessing the impact of environmental campaigns against the activities of a pulp and paper company in Indonesia. International Forestry Review 9(4):819-834.